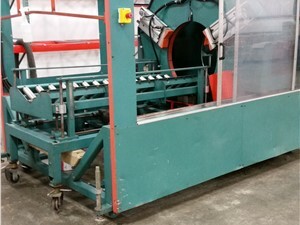 Arlington Plastics Machinery has the used saw plastic cutters that are precise and accurate for many plastic cutting applications. We carry a large inventory of different models of saw cutters from a wide variety of manufacturers to best suit your needs. 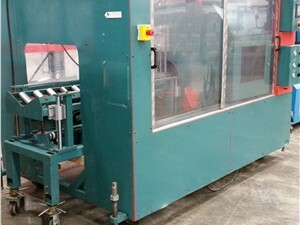 We can sell you plastic cutting equipment as is, in running condition or fully refurbished. Our saw cutters are competitively-priced and are of superior quality, ensuring you can find the machinery needed for your plastic cutting processes. Saw plastic cutters are typically used for profile plastics, such as siding, plastic deck pieces and plastic fencing. Saw cutters feed a continuous stream of product while cutting for a more efficient process and more precise cuts. 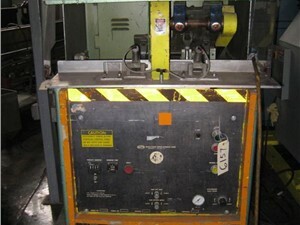 The edge quality provided by this type of plastic cutting equipment is high, and these machines are energy efficient. Saw cutters are useful across many industries for numerous plastic cutting applications.